In this course we explore the literature of medieval England through Geoffrey Chaucer's great work, The Canterbury Tales. 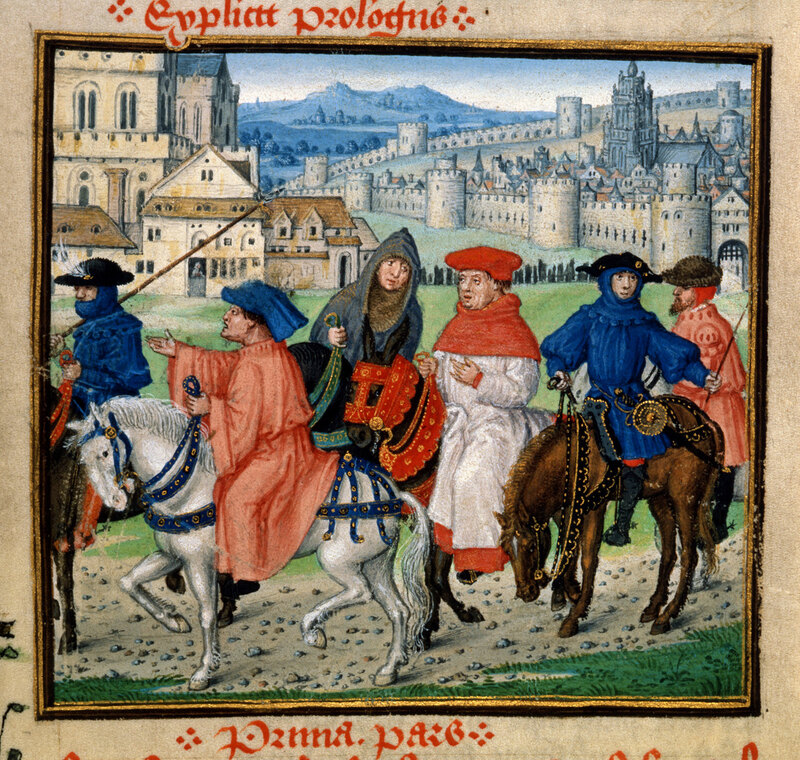 Chaucer's magnificent anthology includes the bawdy Miller's Tale (a college student seduces a townsman's wife), the shocking Pardoner's Tale (a preacher confesses that he is fraud), the disturbing Prioress's Tale (Jews ritually murder a Christian boy), and the moralistic Clerk's Tale (a despotic lord marries a peasant girl). Some concerns of the course will include the competing values of aristocratic culture, the relationship between genre, gender and social class, Chaucer's meditations on history and tradition, his classical and continental inheritance (via Dante, Petrarch, and Ovid), and the peculiarities of medieval authorship and performance. Readings will be in Middle English, and we will spend some time on pronunciation and reading skills. As a Junior Research Seminar, this course is designed to involve students in the kinds of research that the discipline of literary studies currently demands, including: working with primary sources and archival materials; reviewing the critical literature; using online databases of historical newspapers, periodicals, and other cultural materials; exploring relevant contexts in literary, linguistic, and cultural history; studying the etymological history and changing meanings of words; experimenting with new methods of computational analysis of texts; and other methodologies. Research exercises throughout the semester will enable and culminate in a final project: either a scholarly essay of 10–15 pages or a creative project. In either case, the final project must emerge out of each student’s intensive, independent research agenda.